Most middle schoolers probably have other things on their minds besides building houses. But Luke Thill, a 13-year-old from Dubuque, Iowa, is unlike any other middle schooler you’ve seen before. 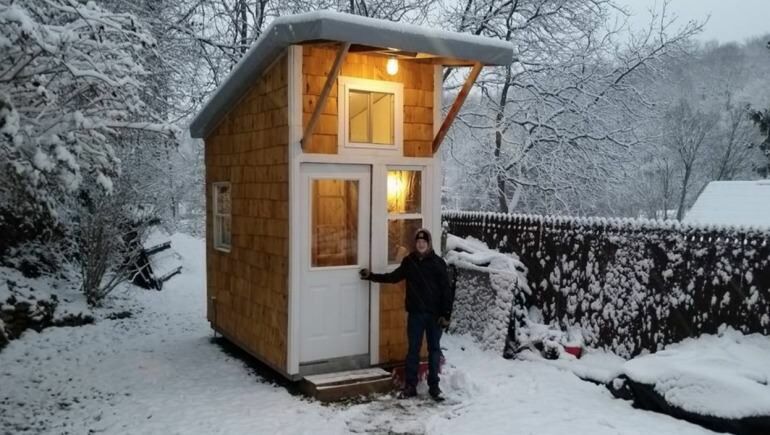 This talented and proactive boy has crafted his very own little house — in his parents’ backyard. The project cost him roughly $1,500 USD — and now Luke is living his dream in his little cottage. Come on in and have a look at what it looks like inside. I think it’s safe to say that Luke is not like many of his 13-year-old peers. In a time of iPads, smart phones, gadgets and X Boxes, this young man decided to keep himself busy in a different and more ‘old-fashioned’ way. 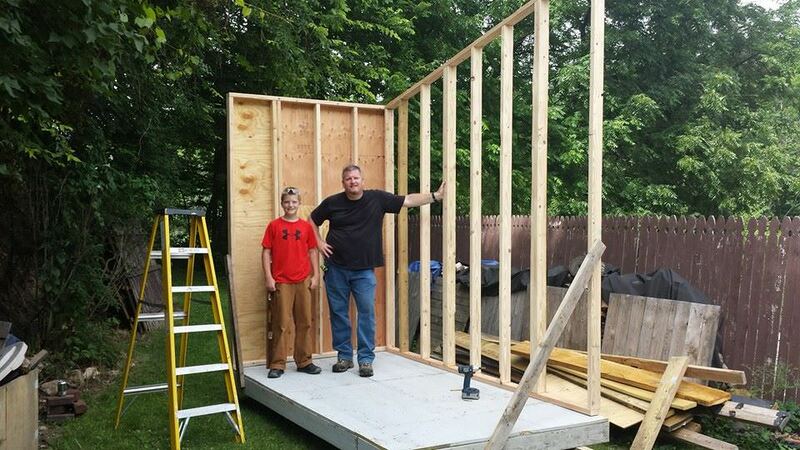 As he explains on his YouTube channel, his desire to build a small house grew out of feeling bored during last summer. After some thorough researching, Luke had a pretty good idea of how he was going to put his plan into action. It took him about a year to get the money and materials he needed to build the house. Luke mowed lawns, started a fund-raiser online and ran errands for anyone who needed help in the neighborhood to make money. An electrician Luke was friends with helped him install the electricity in exchange for Luke cleaning his garage out, for instance. Luke used about 75 percent recycled material, many of which were things left over from his grandma’s house. The front door of the house was a gift from an uncle’s friend. The 89-square-foot house is 10 feet long and 5 1/2 feet wide, with electricity but no plumbing, so no water or bathroom… yet. 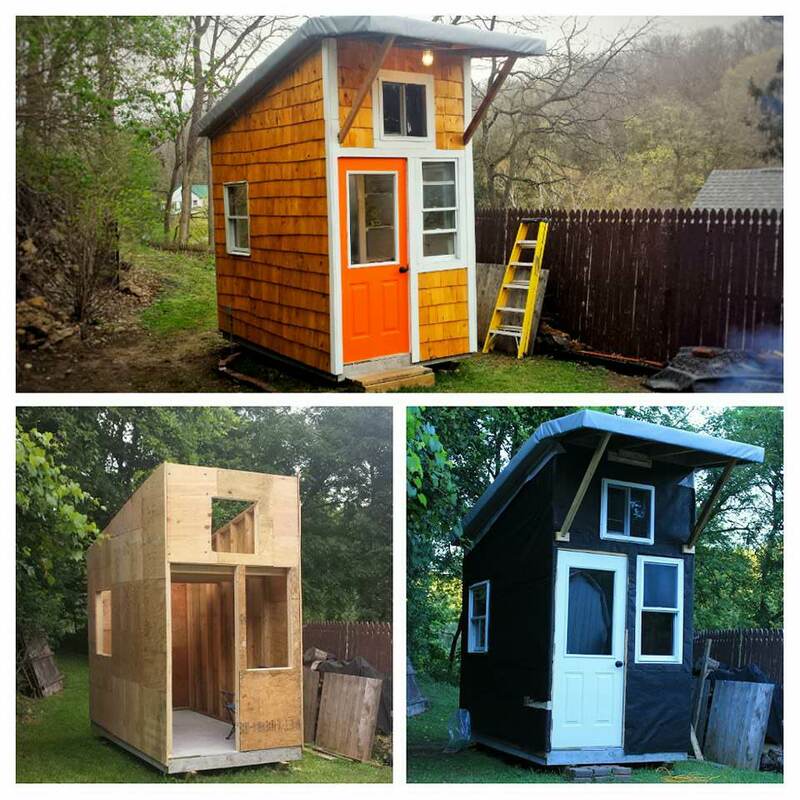 Luke has made several video clips and posted them on online, where he talks about his project as many have grown curious about the little house. As you can imagine, Luke also received some help from his parents, both financially and with the building itself. But dad Greg made sure that it would be Luke himself who would pay for most of his project and also build most of it himself. The house is in many ways a teenager’s dream, an oasis where you can chill and hang out in. It has a microwave, a TV and a loft with a bed. There’s even a barbecue and flowers at the back. Luke usually does his homework after school at his new house and some nights during the week he gets to sleep there. “I want to show kids it’s possible to build at this age,” he says in one of his videos. You can really see how proud he is about his project below.